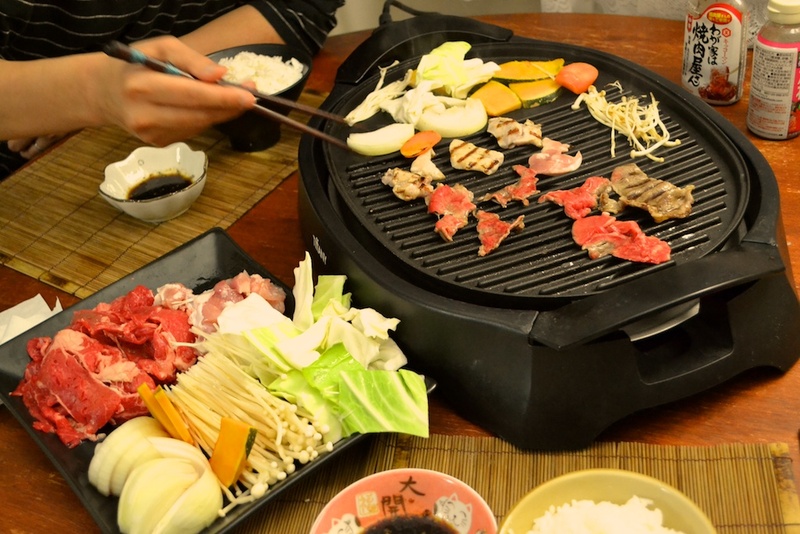 Yakiniku doesn't have to mean an expensive restaurant. It is so simple to prepare at home. Super easy. Super oishii (yummy). 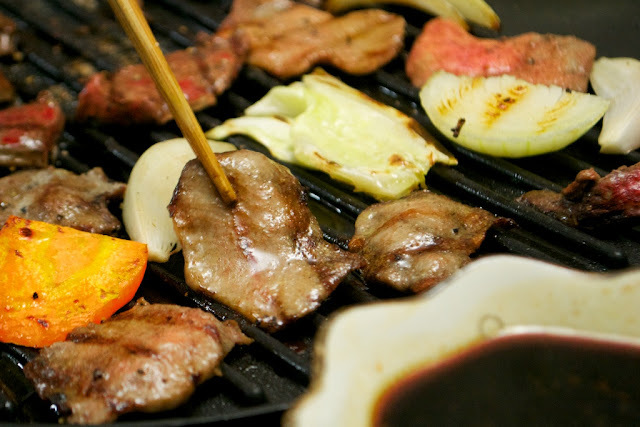 "Yaki" means "grill" and "niku" means "meat". 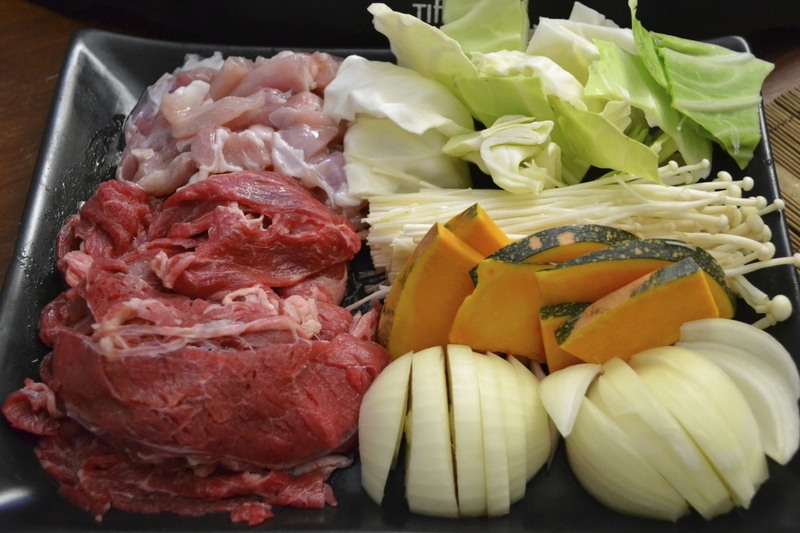 It's table cooking (electric grill or frypan work fine), so, just like Sukiyaki, it's a lot of fun. 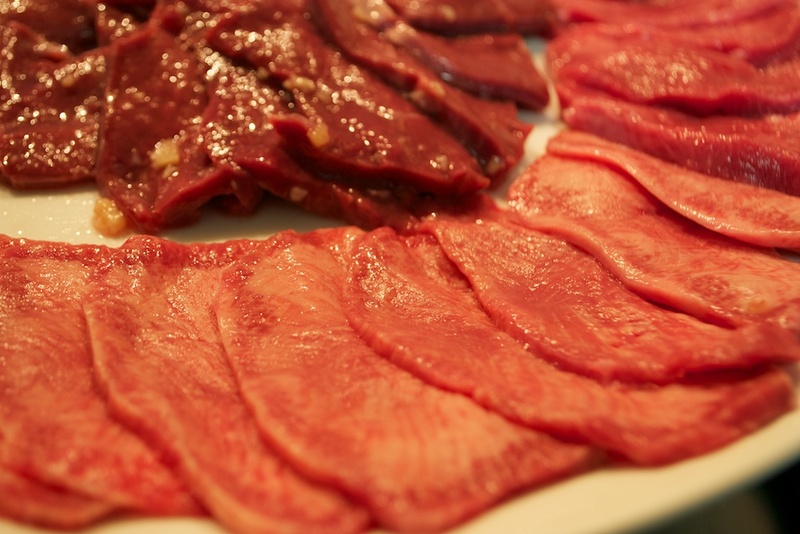 Meat: Thinly sliced beef, with a little sake, sesame oil, +/- garlic and salt, sliced chicken marinated with sake, oil and salt. Vegetables: sliced onion, thinly sliced pumpkin, cabbage (cut 2 inch squares), enoki mushrooms, carrot. I love the onion. Steamed Rice: in a small bowl for each person. Too easy. Everyone does the cooking and eating together. Don't you love not having to cook? We also like ox tongue (skin removed and thinly sliced, sprinkled lightly with salt and pepper) or heart (thinly sliced, marinated with sesame oil and garlic). Ox tongue (beef tongue) is $5/kilo at Woolworths supermarket here. I think that's the cheapest meat in Australia. Tastes buttery and a little rubbery. I love it though. Sendai is famous for it. Eggplant, bell peppers (in Japan we have Piiman), zucchini are my favourites with yakiniku. I always have a ton of veggies. Moyashi (bean sprouts) also go well, as do regular button mushrooms. You can make your own yakiniku ta-re or gomadare (sesame seed sauce) with my recipes (click link to see each recipe). i need to get me one of that grilling stuff like yours? where did u get yours? I NEED OPEN A YAKINIKU RESTAURANT IN MALDIVES.CAN ANYONE BE MY PARTNER? if i don't have sake can i change it with something else?